Michael Jordan late in the fourth quarter with the ball in his hands, driving hard to the basket. Harry Houdini hanging upside-down by his ankles, shaking his way out of a straight jacket and a pair of handcuffs. Roy Underhill, axe hoisted on his shoulder, standing before an audience with a smile on his face and a story to tell. Eddie Van Halen standing in the spotlight, hair dripping with sweat and he leans into his reverb enhanced "Frankenstrat" and drives into a heart stopping performance of "Eruption." All examples of masters at the top of their game. They are awesome to witness at action, in their element, and in perfect control. Every endeavor has it's innovators and masters and the story is repeated again and again through a multitude of disciplines. They have high levels of skill built on layers of experience and hard work and it is both inspiring and humbling to witness these individuals at practice and play. I recently had a chance to watch a man I consider a master at work in his new home. I've written here before of the respect I have for Bad Axe Saws and their maker Mark Harrell. 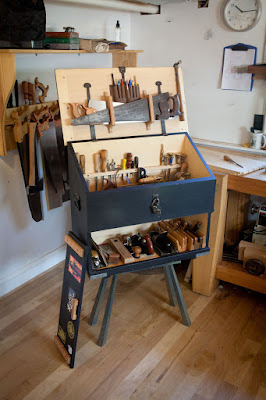 I have two of these saws in my tool chest now and I built it with room for two more. These two saws a couple of the most reliable problem solvers in my arsenal. I've met with Mark a couple times, we live in the same area, and he is an extremely knowledgeable person with a passion to make the best damn saws possible. He has impressed me from the get go. My twin Bad Axe guns, A hybrid, 12" dovetail / small tenon saw and a 12" carcass saw. The only credible issue there has ever been is his backlog of work. Up until relatively recently Mark worked hard everyday turning out saws from the basement workshop of his home. He worked by himself and turned out great saws, but one man can only accomplish so much in a day. I was encouraged a while ago when he started to hire some staff and build a crew to help him turn out saws at a more timely pace. Then I heard the best news of all for Bad Axe Saws. Just after this years WIA Midwest conference Mark made like it was groundhog day, He poked his head up above the below ground digs of his "Saw Dungeon" and found the fresh air and daylight to his liking. He found a good shop space with all the accouterments a business needs to grow. The new Bad Axe Emporium is a large, spacious place with lots of light and room. I got an invite to visit the other day, even though they are still settling in, and it is great to see a man and a business I've supported for a long time do well and come into it's own. It's kind of like watching your football team win the Super Bowl. A look across the Bad Axe Emporium from behind Mark's personal bench. In the background you can see Mark and one of his employees working together to fit a back onto a troublesome saw plate. Now I am a cynical man. I'm not proud of it but it's just the color of the stripes on this tiger, and when I heard about Bad Axe growing and taking on staff I had some troubling thoughts. I knew Mark could turn out a great saw, but it crossed my mind that as you mess with a recipe you can spoil the soup. I worried that more hands on deck might somehow lessen the quality of the finished piece. Now as a rational person, I know Mark cares deeply about his product and reputation and would not let someone else get in the way of those things, but me being me, I had worries. This is why I was so glad when Mark reached out and invited me to visit the new shop. It took all of about five minutes for me to realize how unfounded those worries were. You could see it in the set up of the shop and it's work flow. Mark has his own, personal bench and set up and all the work in the shop funnels to him for it's final preparations before shipping. He has help doing the basic build work now like assembling the correct parts for the order, mounting the backs and the handles, and hammer setting the teeth. But every saw moves through Mark's hands for checking the quality of the saw assembly, jointing and filing the teeth and making sure the saw is top notch before it gets packed up to head out to your shop. A shot of Mark's personal bench space, an awesome slab workbench where every saw gets put through it's final paces before it gets to your shop. I have to admit, I was surprised at how much goes into those final adjustments and touches. I have pulled vintage saws apart, cleaned them and sharpened them to good results so I thought I knew a bit about the process. It's kind of like saying a child who can recite the alphabet could replicate Shakespeare's sonnets Could they learn to do so? Yes, but not without years of study and work. I thought I knew what went into saw making and maintenance, but after spending just one afternoon watching and talking with Mark, I learned so much more. After a quick tour around the place and the various stations. Mark and I discussed saw handles and how they fit your hand. Yes, if your paw is bigger or smaller than the average bear you may never know what it's like to use a saw that fits your hand and Mark has the answer to that as he can size his handles to the customer. Options are the real beauty behind buying a Bad Axe Saw. From the wood species and size of the handle to the metal used for the back and saw nuts to custom filings. When he's done your saw will look and perform exactly like you want. Not sure what you want? Drop him a line and he'll answer all your questions and put you on the right path. Mark pulled down one of the next saws in his queue to show me the process he goes through to get the assembled saws up to his standards. It starts with joining the teeth of the saw. When I joint teeth I use a jig to keep my file flat, Mark's practiced hand was able to just grab a file, make two runs, and move on. I already knew at this point I was watching someone who had mastered his art. The process continued as I watched him start to file the teeth to shape and sharpness. In my shop I had recently resharpened my crosscut panel saw and there was a distinct difference between my work and Mark's educated hands. You could even tell he was using a heavier touch on his first pass, then a lighter touch to his second pass. I use a couple of shop made guides when I sharpen. They help keep my angles more or less consistent. Mark's hands were a machine and his eyes were watching to assure he achieved exactly the right results. The fluidity and economy of movement throughout the whole sharpening process was inspiring. 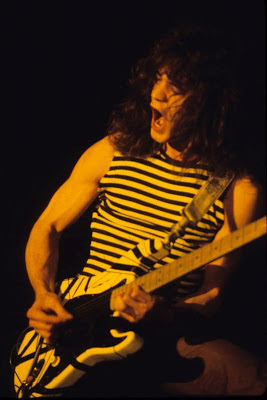 I don't easily throw around terms like "master" or "virtuoso" but it was clear Mark's done this a time or two before. With the file work done he stones each side of the tooth line to remove some of the burr and tease the saw into cutting straight. Quality saws will cut the line for you, all you really have to do is provide the kinetic force to move them and be smart enough not to get in their way by trying to over control them. Then came a process that surprised me a bit. through the assembly process, and the joining of the saw plate and the back, a saw can pick up some slight warp and twist. Mark removes the handle and uses a couple crescent wrenches and a practiced eye to adjust the plate fair. Then he replaces the handle and goes about rechecking and readjusting to get the saw blade lined up perfectly with the handle. The forces of the handle and the saw nuts can change a saw and need to be taken into account. This process took him the longest, maybe ten minutes, and by the end he was adjusting and fine tuning for imperfections that I couldn't even see until he put his finger on them to show me. This dashed any of my foolish notions that more production and personnel would lead to less of a product. I would think it only increases the quality of these saws because it frees up Mark's hands and eyes to focus on making the saw as perfectly perfect and humanly possible before it leaves the shop. I lost track of time while I was watching him but I'd estimate the process took him around forty-fives minutes from start to where he was happy enough to let me have a test cut or two. How are you going to go to the Bad Axe Emporium and not come away without making some saw dust? Come on man, this 10" 15 ppi "Doc Holiday" dovetail saw tore right through 5/4 white oak without even stressing about it. This is something I continue to be amazed at. It's something that in my estimation a high ppi saw shouldn't be able to handle, but Mark's saws laugh at the challenge. Besides demonstrating his mastery over steel and wood Mark also shared some other exciting information with me and I want to spread the word. The first thing is that he is so happy to be working up above ground level that he is throwing a party. Bad Axe Tool Works will be having a big open house this coming January 12th 2013, from Noon to Four PM. I will be there and so will other woodworkers, woodworking instructors, and tool makers. It is bound to be a good time. If you're interested in coming you should drop Mark a line HERE. The other exciting news is Mark decided to start teaching classes on his saw filing techniques to the world. With such a great shop and all the space and benches he needs he's thinking of having quarterly classes on the subject. I know I'll be in attendance because there is no one I've met who has a better understanding of this important tool, and if it makes me a better sharpener and sawyer, then count me in. Marketing will always be the BS that it is. It's mostly about who shouts loudest. 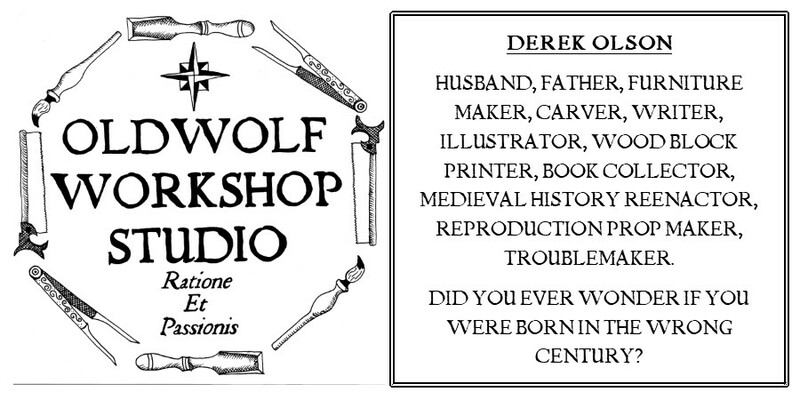 I shouldn't really say a whole lot as the first question most people ask me is, "how did you come up with a great name like Old Wolf Workshop," and that's a long boring story that isn't nearly as interesting as the name. In the end I could care less what the saws get nicknamed, When I pull my 12" small tenon / dovetail saw out of the tool chest I don't think "Here comes Wyatt Earp." Instead I'm thinking about what cut I'm about to make. The best thing about Mark's saws is that in the shop, I don't think about them, I think about what I'm doing with them. I can't say that about every tool I own and use. In the end, in my opinion, the quality of his work has enough swagger without the names. You have me intrigued though, I would love to see the marketing page for a Nudibranch Pocket Square. you could be on to something. You're among friends here Rob, and I agree with you both before and now. The only customization I find to be truly intriguing is Mark's sizing of the saw handles. I've got wider hands and as such I've always preferred open handle saws. The thought of getting a saw handle that would fit me better . . . pretty intriguing. I always order the standard back and saw nuts myself. I'll change up the handle wood but I tell myself that makes them quicker to identify as they hang handle up in my tool chest. You are a lucky man to live so close. I've had Mark re-sharpen 2 old Disston's. I also bought a Tenon saw recently. All are top notch. I'm still waiting patiently for Mark to begin making panel saws. It's been rumored for years. I think steel suppliers were an issue. But keeping my fingers crossed.